McArthur Burney Falls Memorial State Park is within the Cascade Range with forest and five miles of streamside and lake shoreline (some are accessible), including a portion of Lake Britton. 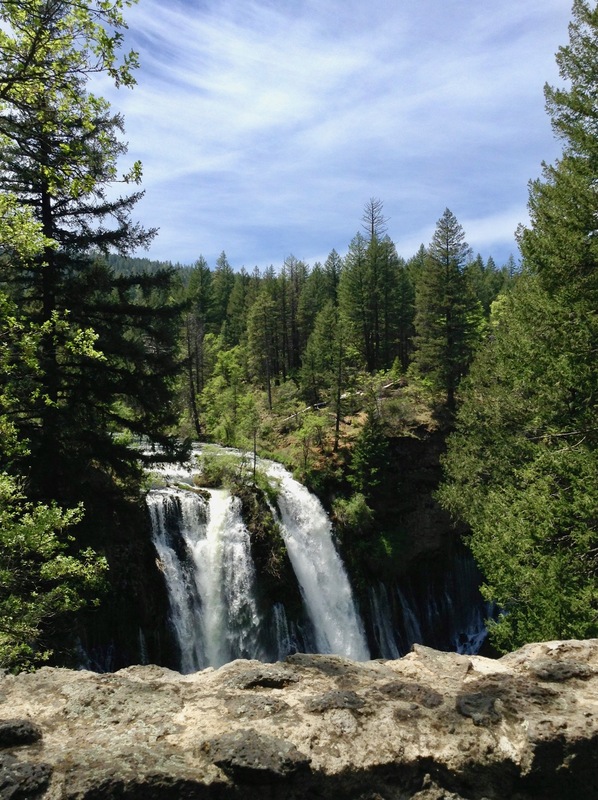 The park's centerpiece is the 129-foot Burney Falls. The small visitor center is a good place to start. Picnic table is located on a slight slope. The most accessible path to the restroom is the park road but it's a longer distance than across the dirt grounds. Neither is lighted. 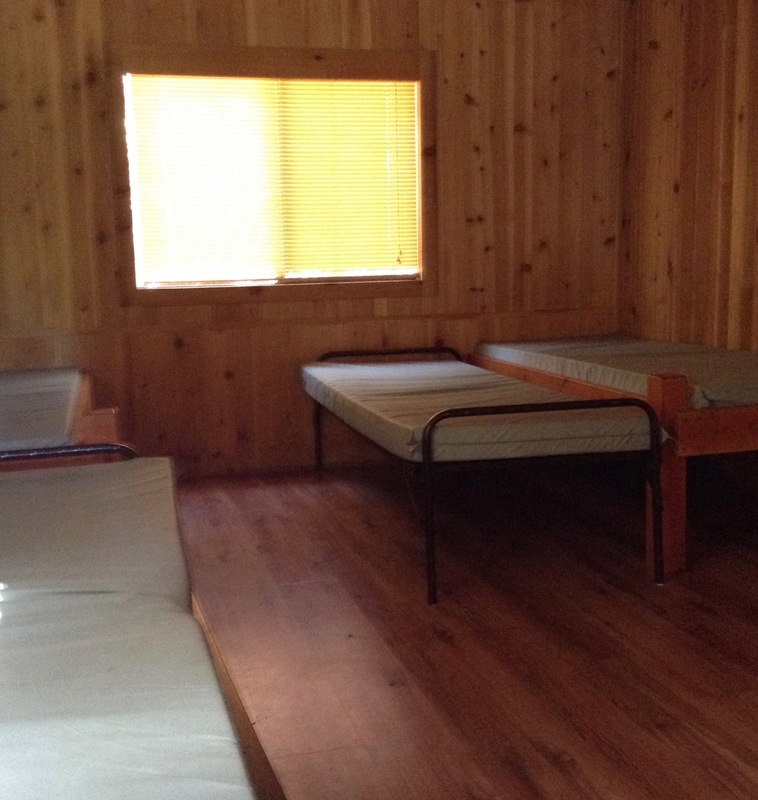 Set within the campground are 24 rustic cabins, two are accessible. The accesssible cabins are not located near the cluster of standard cabins which are across the park road, so you will not be close to them. There is room however at the cabin to pitch a tent. 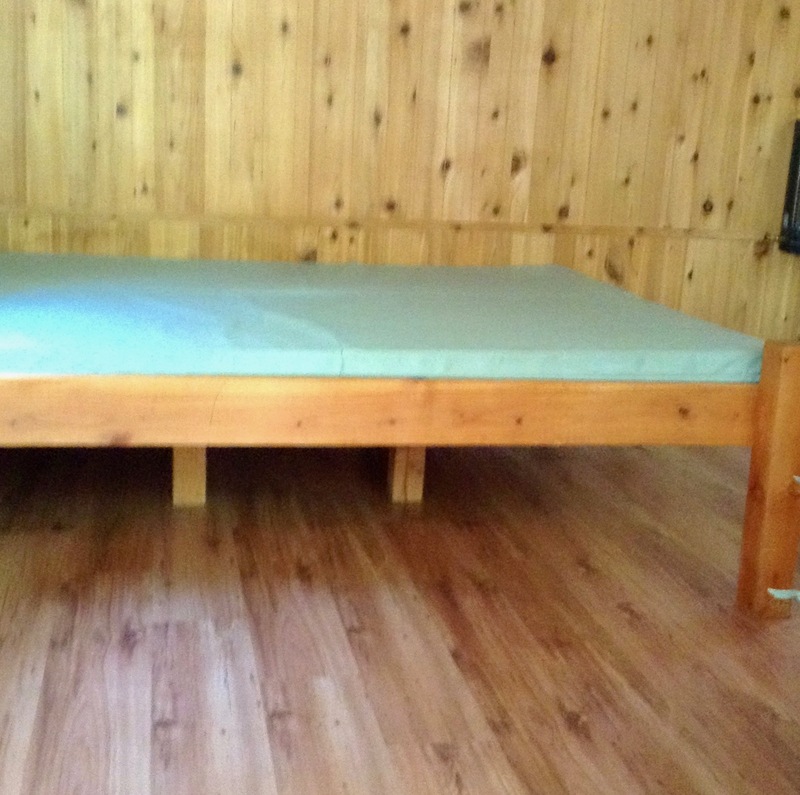 Each cabin is well-insulated against chilly nights and is equipped with propane heaters, wood floors, covered porches, and a variety of bedding including; platform beds with foam pads and mattresses for the floor. You will need to bring your own bedding. There is no electricity or plumbing except for a water spigot outside the cabin. Outside is a picnic table, fire ring and food storage box. 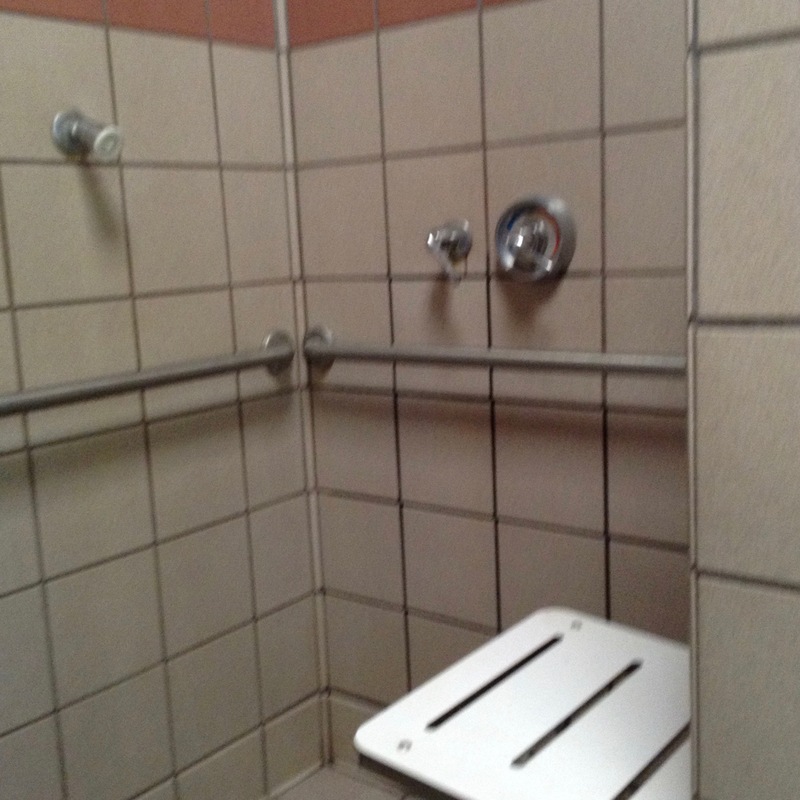 Bathrooms and showers are in a nearby building; bring a flashlight as the path to them is not lighted. Cabin 59 is reviewed here but Cabin 62 was also seen. It has all of the same features except that it sleeps 6 instead of 4 people. path to bathroom is not lighted, door has at least 32" clearance, at least 5'x5' turn circle, at least 28" clear space at toilet, grab bars on back wall and at least one side of toilet, toilet height between 17" and 19", sink clearance at least 27" high and 30" wide, affixed wooden shower bench, bars in shower, no hand-held wand in shower, lowered showerhead, shower is coin-operated.